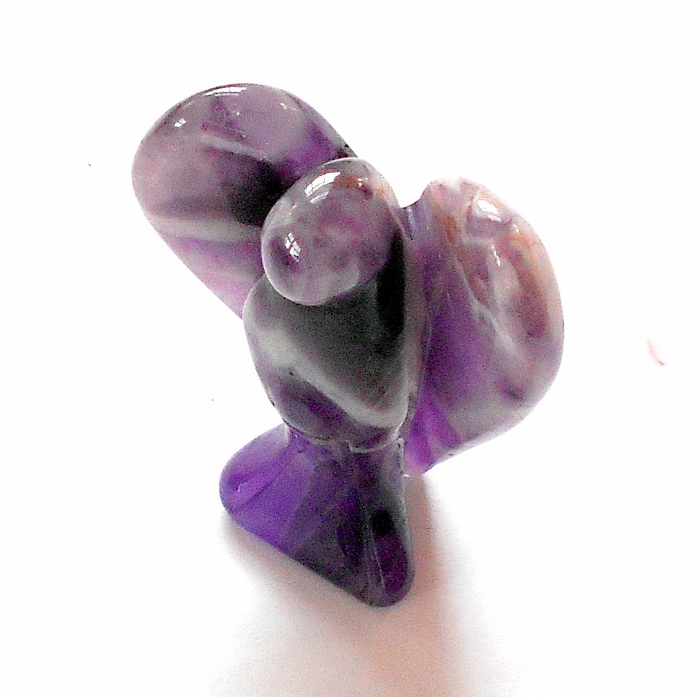 A polished purple amethyst gemstone pocket angel. Amethyst has long been considered a gemstone for purification, and the purple gemstone is superb for detoxifying negative energy and helping your transform your life and find your potential. 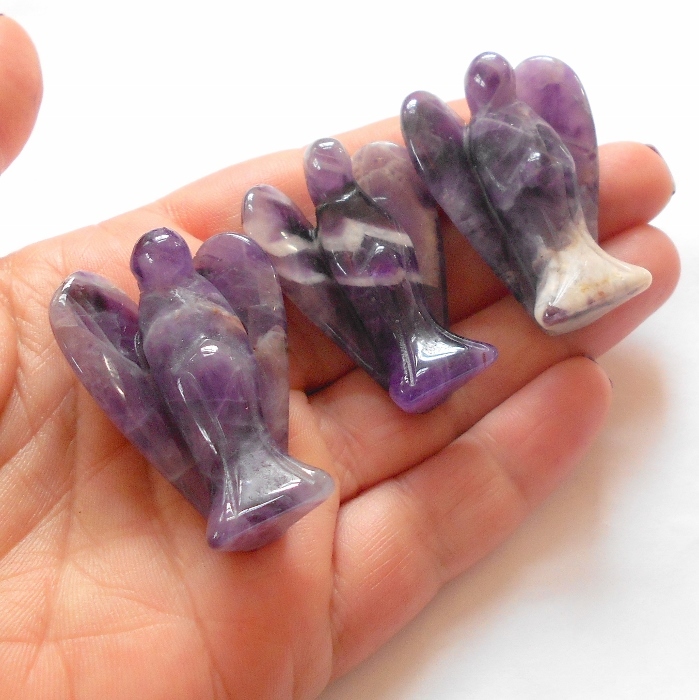 Amethyst is a sobriety stone, curing addictions and releasing you from bad habits. 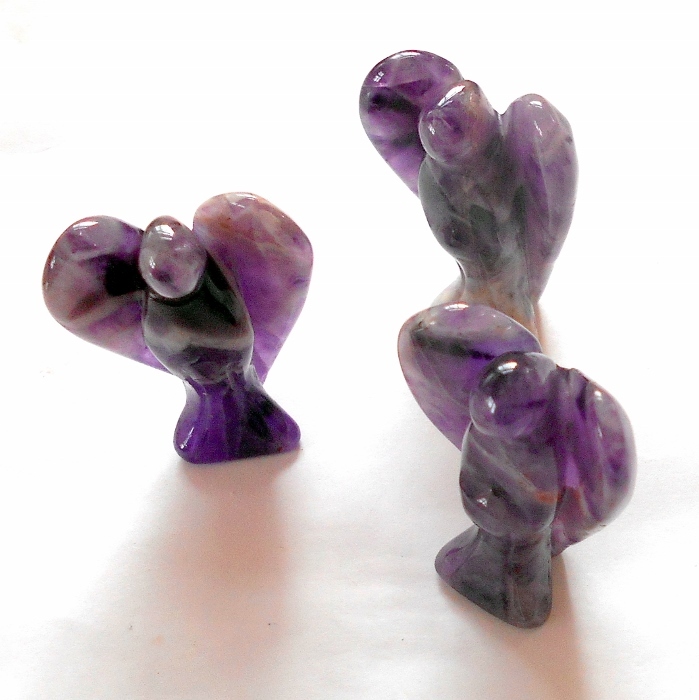 Pocket angels are approximately 1 1/2 to 2 inches tall and each has natural color variation. Price is for one pocket angel.